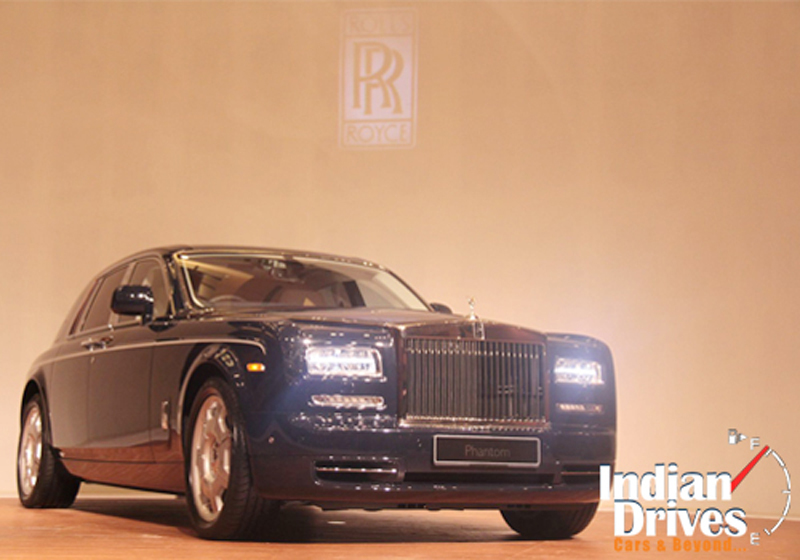 Legendary luxury car maker Rolls Royce has launched its 2013 Phantom II saloon in India today. Price of this super-luxury saloon has been fixed at Rs.4.5 crores (ex-showroom Mumbai) for the standard wheelbase version, which makes it obvious that like most Rolls Royce products, this one too will target only the super-rich in the country. The car will be shipped to India through the CBU route. While the standard version has been priced at Rs.4.5 crores, the long wheelbase version will cost you a sum of Rs.5.1 crore, which makes this Rolls Royce the costliest vehicle to be sold in India. The biggest competition to the Rolls Royce Phantom will certainly come from the equally well-known name in this segment, the Bentley. 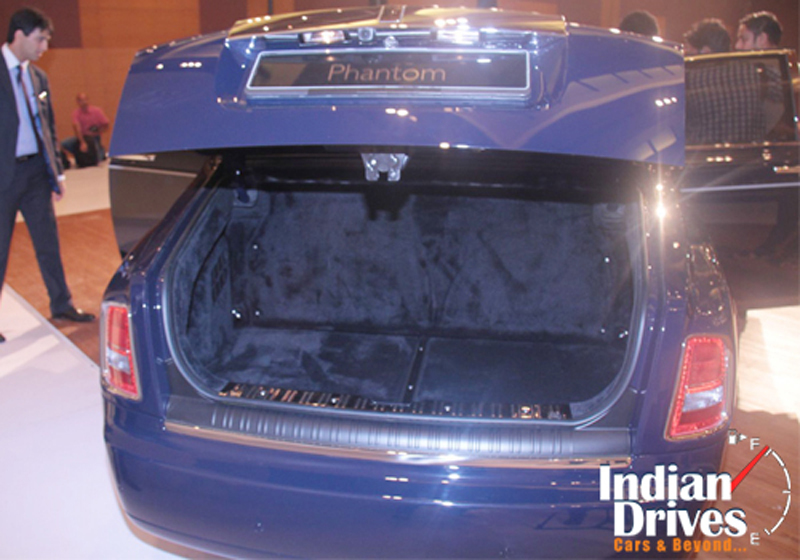 The all-new 2013 Phantom II has seen changes on both the inside and outside. While the overall appearance of the vehicle still retains that typical Rolls Royce look, certain changes made to the car do make it different from other Roll Royce babies. Redesigned curved headlamps and a new bumper adorns the front of the car. The power to this vehicle comes from a hand-built 6.75-liter naturally-aspirated V12 petrol engine with improved performance and fuel-efficiency figures. The engine delivers a peak torque of 720Nm, almost 180Nm more than the previous version. A ZF 8-speed automatic transmission has been mated with the engine. The car will have a top speed of 240kmph. The outer luxury is reflected on the inside of the car as well. 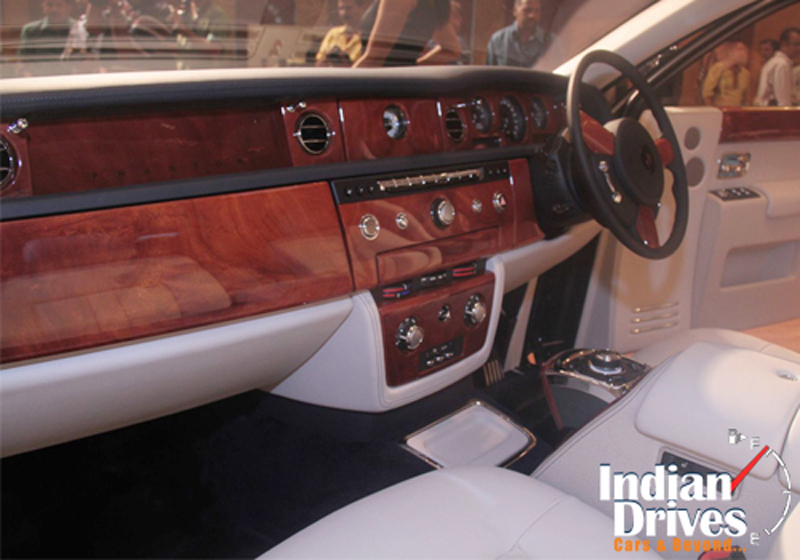 A mix of steel, wood and leather makes gives that quintessential Rolls Royce look on the inside as well. The car has five different cameras positioned all around it for extra security. These cameras help the driver keep a check on the blind spots of the car.